Bristol at Parkway Place, a 40-storey tower by filigree anticipated to be Filinvest City’s residential tower icon will soon be complementing the upscale Festival mall’s New Wing that is seen to boost the area to become the largest and most sought after lifestyle places south of Metro Manila. Kate Ilagan, head of Filigree in a statement said, this early, diners looking for new food experiences in the recently launched River Park, a dining strip anchored on a natural, living creek and lush landscaping, are already enticed by the ad announcements of Bristol at Parkway Place, a 40-storey tower by Filigree anticipated to be Filinvest City’s residential tower icon. 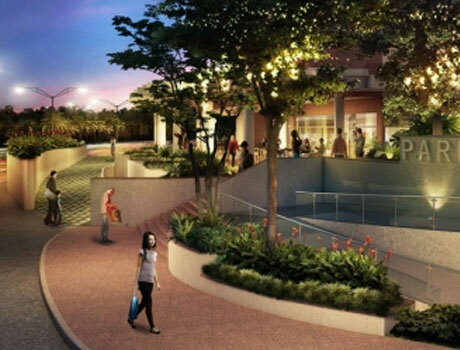 As they sample the casual dining and post dinner options in River Park’s alfresco setting, they can visualize how strategic, convenient and pleasant it would be to simply walk home amidst the greenery to the Bristol. Ilagan discloses that Bristol will be the most prominent of a row of high-end residential condominium towers collectively known as Parkway Place along the garden city’s famed Millionaires’ Row. With the slew of Filinvest City improvements on the pipeline, Parkway Place will soon be interconnected with Festival Supermall via a pedestrian lower ground walkway allowing for a scenic access of the River Park and its manicured pathways ushering in a new dimension to the mall experience. From Bristol, the recreational facilities of the Palms Country Club are also accessible to members on foot. “The Bristol will be a key component of this new Filinvest City enclave of the South,” Ilagan points out. Upon completion in the first quarter of 2018, this iconic landmark will also offer a fresh real estate option to successful individuals and families seeking the blue skies and open spaces of this part of Metro Manila. Taken altogether, Bristol offers families and individuals seeking a gracious lifestyle a compelling proposition. “Form and function, convenience and luxury and a strong connection between the interiors and the outdoor experience combine in this key project of Filigree,” observes Ilagan. Bristol at Parkway Place is a quality development of Filigree, which offers masterfully-crafted luxury residential spaces, master-planned urban centers, and leisure developments.